A drawing from Cody, sketched September 3, 2009. I can't find a thing wrong with this picture, nor with the thoughts he's getting across. 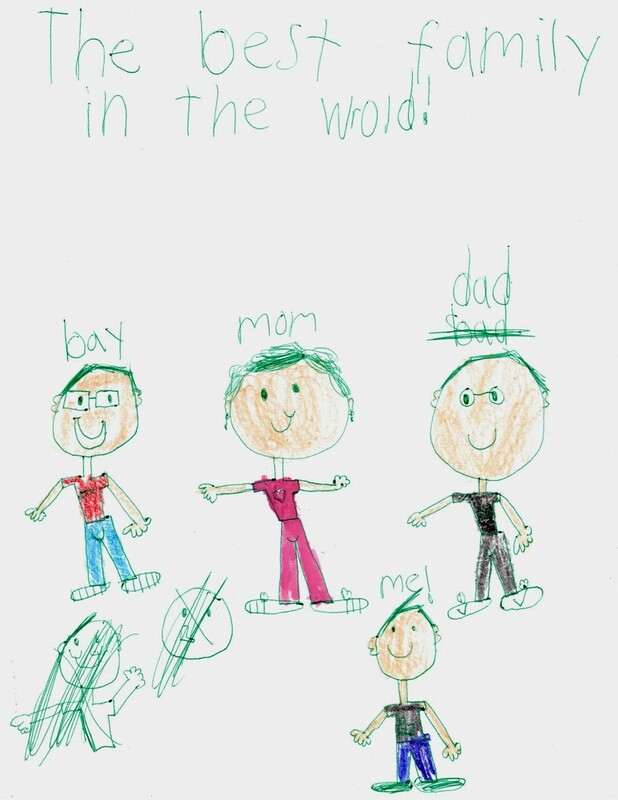 Artist's notes: Bailey has a football on his shirt; Mommy has a heart on her shirt; Dad has a fish on his shirt, and is wearing Nike shoes (note the "swoosh" or as Cody calls them, checkmarks); and Cody has a skeleton head on his shirt.